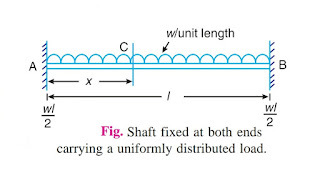 w1 = Uniformly distributed load per unit static deflection at the middle of the shaft = w/y1 . Now consider a small section of the shaft at a distance 'x' from A and length 'δ x'. Let y = Static deflection at a distance 'x' from A, and length 'δ x'. 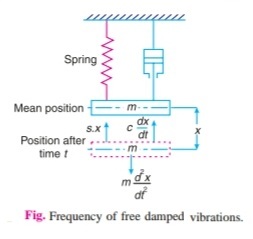 a = Amplitude of its vibration. I = Moment o inertia of the shaft. Where fn = Natural frequency o transverse vibration of the shaft carrying point loads and uniformly distributed load. 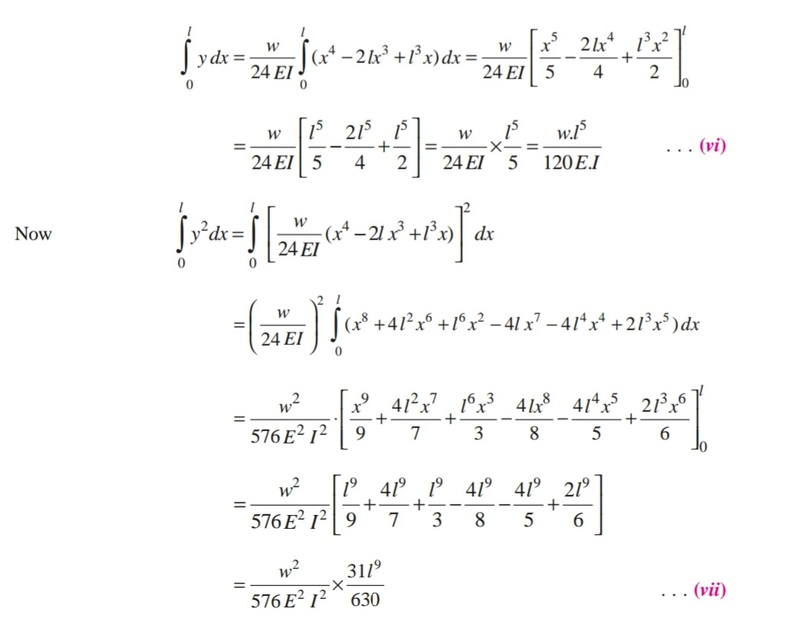 fn1 , fn2 , fn3 etc., = Natural frequency of transverse vibration of each point load. fns = Natural frequency of transverse vibration off the uniformly distributed load (or due to the mass of the shaft). δS = Static deflection due to the uniformly distributed load or due to the mass of the shaft. Note: 1. 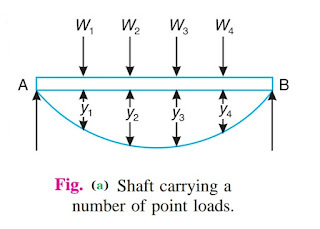 When there is no uniformly distributed load or mass of the shaft is negligible, then δS = 0.
l = Total length of the shaft. Critical Speed: "Critical or whirling or whipping speed is the speed at which the shaft tends to vibrate violently in transverse direction". "The speed at which the shaft runs so that the additional deflection of the shaft from the axis of rotation becomes infinite, is known as Critical or Whirling speed". In actual practice, a rotating shaft carries different mountings and accessories in the form of gears, pulleys etc., When the gears or pulleys are put on the shaft, the centre of gravity of the pulley or gear does not coincide with the centre line of the bearings or with the axis of the shaft, when the shaft is stationary. This means that the centre of gravity of the pulley or gear is at a certain distance from the axis of rotation and due to this, the shaft is subjected to centrifugal force. This force will bent the shaft, which will further increase the distance of centre of gravity of the pulley or gear from the axis of rotation. 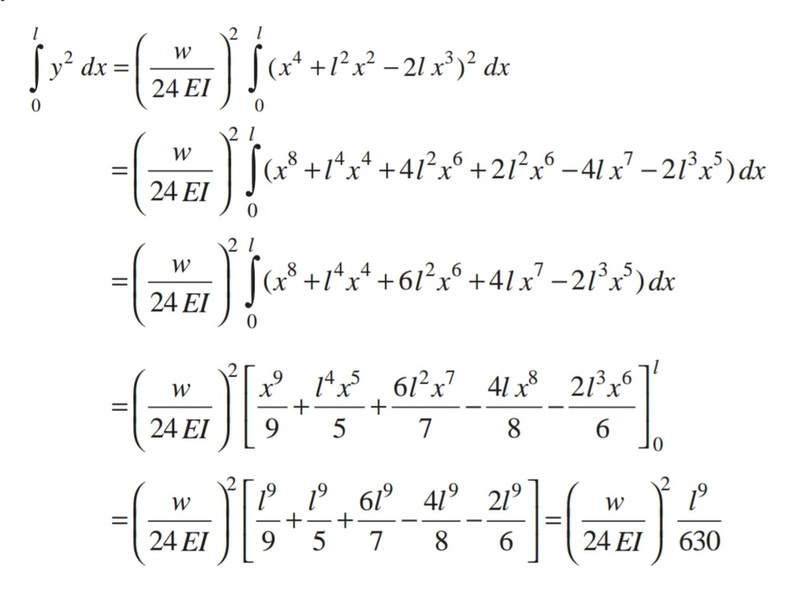 This correspondingly increases the value of centrifugal force, which further increases the distance of centre of gravity from the axis of rotation. This effect is cumulative and ultimately the shaft fails. The bending of shaft not only depends upon the value o eccentricity (distance between centre of gravity of the pulley and the axis of rotation) but also depend upon the speed at which the shaft rotates. 2. Diameter of the disc. 4. Types of support connections at its end. 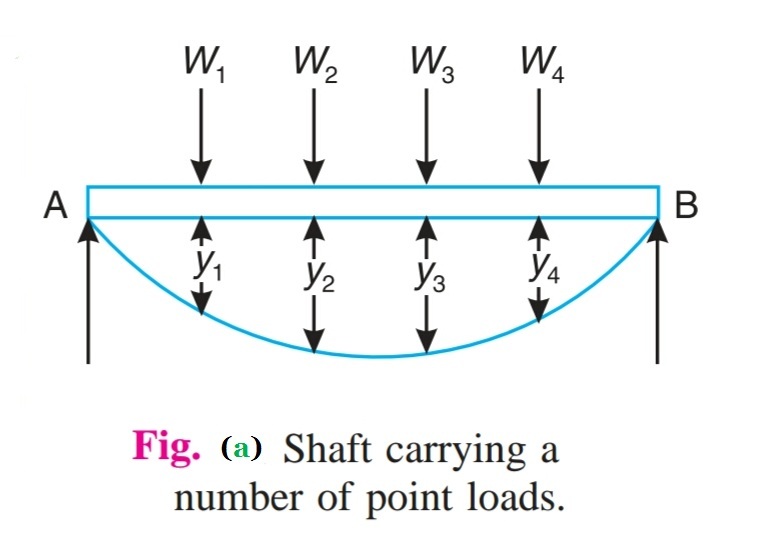 Consider a shaft of negligible mass carrying a rotor, as shown in Fig (a)., The point 'O' is on the shaft axis and 'G' is the centre of gravity of the rotor. When the shaft is stationary, the centre line of the bearing and the axis of the shaft coincides. Fig (b) shows the shaft when rotating about the axis of rotation at a uniform speed of 'ω' rad/s. e = Initial distance of centre of gravity of the rotor form the centre line of the bearing or shaft axis, when the shaft is stationary. y = Additional deflection of centre of gravity of the rotor when the shaft starts rotating at 'ω' rad/s. s = Stiffness of the shaft i.e. 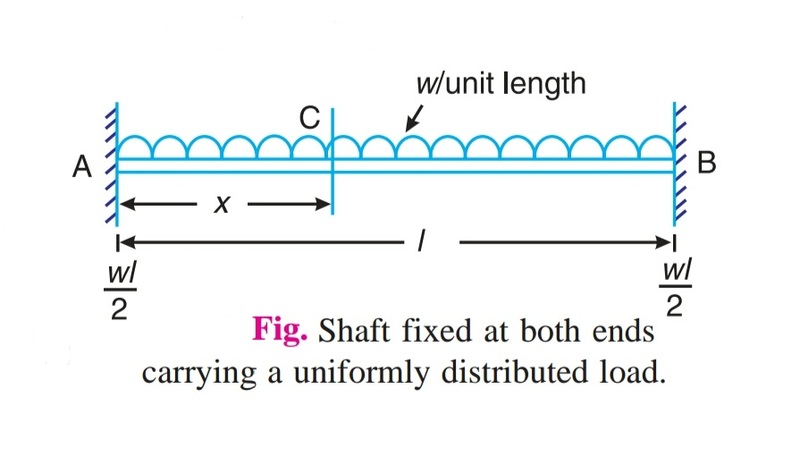 the load required per unit deflection of the shaft. A little consideration will show that when ω>ωn, the value of 'y' will be negative and the shaft deflects is the opposite direction as shown in Fig (b). In order to have the value of 'y' always positive, both plus and minus signs are taken. 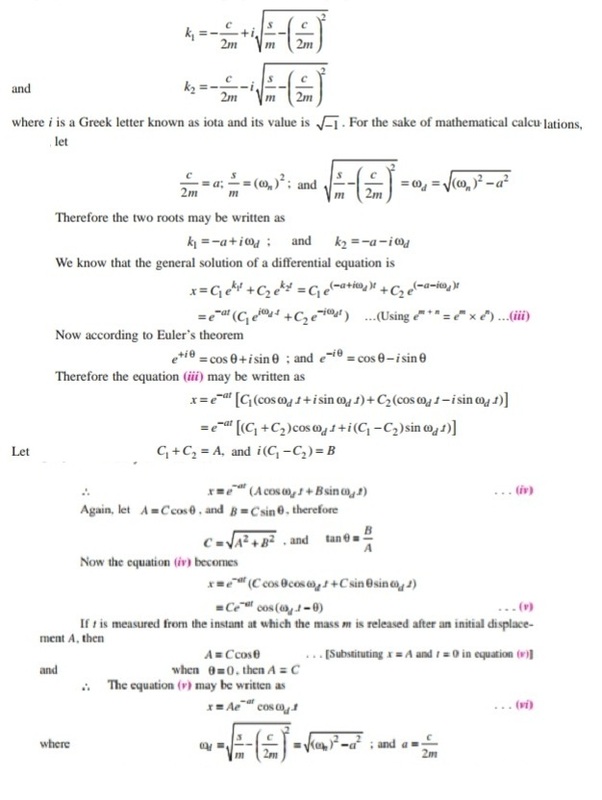 We see from the above expression that when ωn = ωc , the value of 'y' becomes infinite, therefore 'ωc' is the whirling speed. Hence the critical or whirling speed is the same as the natural frequency of transverse but its will be revolutions per second. 1. When the centre of gravity of the rotor lies between the centre line o the shaft and the centre line of the bearing, 'e' is taken as negetive. On the other hand, if the centre of gravity of the rotor does not lie between the centre line of the shaft and the centre line of the bearing (as in the above article) the value of e is taken positive. 2. 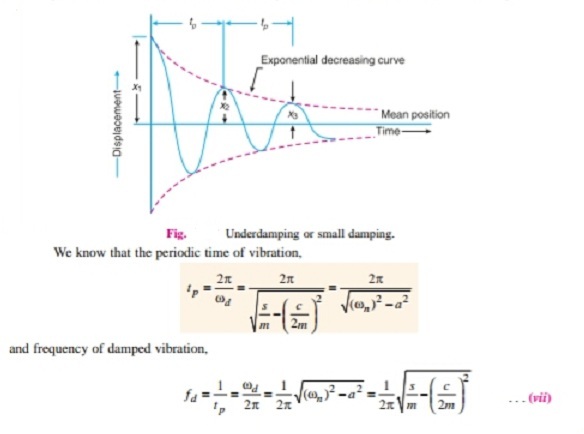 To determine the critical speed of a shaft which may be subjected to point loads, uniformly distributed load or combination of both, find the frequency of transverse vibration which is equal to critical speed of a shaft in r.p.s. 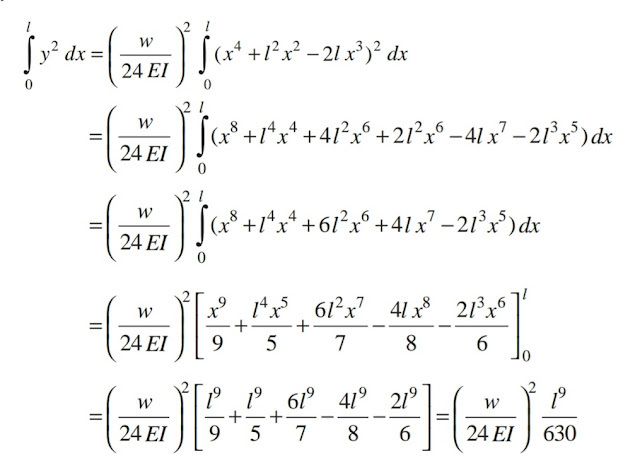 The Dunkerley's method may be used for calculating the frequency. 3. A shaft supported is short bearings (or ball bearings) is assumed to be a simply supported shaft while the shaft supported in long bearing (or journal bearing) is assumed to have both ends fixed.